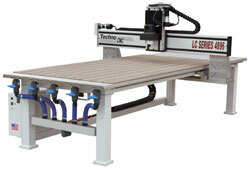 Techno's 18+ years of CNC expertise can be seen in the modular design of the LC Series. 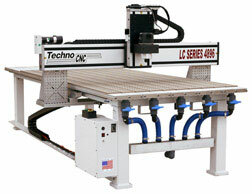 You can purchase a base LC Series machine for a small initial investment and then build as you go. Add a spindle with more HP, a vacuum table setup for greater part holddown, 3D scanning for reverse engineering, or a rotary table for 4th axis routing. Add them as your curricula and applications require. The LC Series is easy to setup, learn, use and with the infinite educational possibilities, it can keep students engaged while learning valuable and modern manufacturing techniques, graphics and programming. Servo Motors provide more power when you need it (even at high speeds) and do not lose position. They constantly check and maintain their position, making perfect parts every time. Ball Screws ensure accurate cuts and extend the life of your machine. Their rolling contact design creates a sturdy play-free motion that requires minimal maintenance while providing high degrees of accuracy and repeatability. Less expensive alternatives wind up costing more in downtime and repairs. Techno knows that good quality routing is built from the ground up. Our engineers (with over 18+ years of CNC design experience) follow aircraft design principles in designing machines. The LC Series design includes a heavy steel-base frame, Techno's proprietary aluminum T-slot table, and a one piece X/Z axes beam construction of extruded aluminum (with internal reinforced webbing and hardened steel rails/bearings). This design is extremely rigid yet light enough to travel at high speeds, minimizing vibration while increasing accuracy and repeatability. 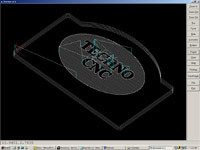 Techno's extremely easy to use CNC Interface is a great bonus that is bundled in our machine sales. 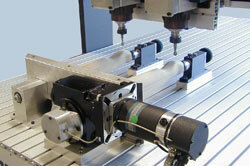 It's single-screen design makes CNC as easy as 1-2-3. Most CNC functions (i.e. Built-In G-code Editor, production logging and reporting, infinite look-ahead and continuous motion, toolpath and part preview) are just one click away and feature intuitive controls. Also, it comes standard with FREE lifetime updates via the Techno support website. 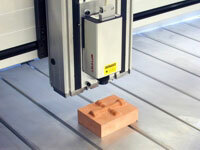 The EASIEST way to teach CNC � GUARANTEED! Contact Techno's Educational Sales Manager, James Renner, at JAYME'S E-MAIL with any inquiries about our Educational CNC Products. 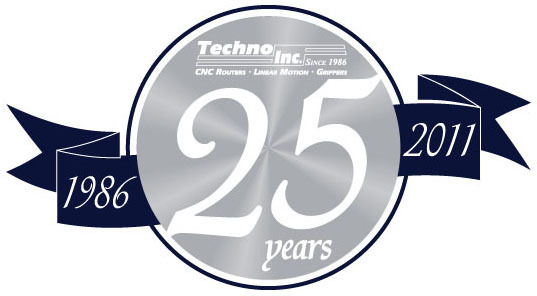 Techno, Inc. is celebrating 25 years of CNC and Automation Technology expertise. Our Educational Division provides industrial quality products at educational prices with a network of award winning Educators, we can provide CNC Curriculums, CNC Projects, Technical Information and Packages for any educational classroom.